2018: Is this the year when God moves in great power in West Michigan? It undoubtedly is God’s heart for the unsaved that prompted 91 year-old Rich DeVos to desire that his friend Luis Palau (who led a crusade here in 1994) return to West Michigan and proclaim the truth of the Gospel ideally to every man, woman and child in West Michigan. Rich is now the Honorary Chairman of CityFest West Michigan, culminating this September 8 and 9 when Luis and his son Andrew Palau will proclaim the message of salvation at Ah-Nab-Awen Park here in Grand Rapids. But how can we best prepare for that time? The answer is simple: we must pray! You might reply, “What difference do my prayers make?” The answer: Much! Scripture and history both confirm that God ALWAYS responds to the desperate, united and expectant prayers of His people. Jesus set the example for us by Himself spending so much of His life on this planet in prayer to Our Father in heaven. Can we do less? We are seeking at least 10,000 people who are willing to pray daily for God to move powerfully in West Michigan to awaken His Church and bring thousands into His Kingdom for His glory. Will you join us? Go HERE to sign up today! Rich blessings in this year of our Lord 2018! January 4 -- CityWide Prayer Gathering at Gold Avenue Church. CLICK for directions. January 16 -- Prayer Equipping Evening at Gold Avenue Church. CLICK for directions. Pray for the pastors gathering at the Pastor’s Prayer Summit on Jan 15/16 – that pastors all around West Michigan would seek God’s move and His presence. 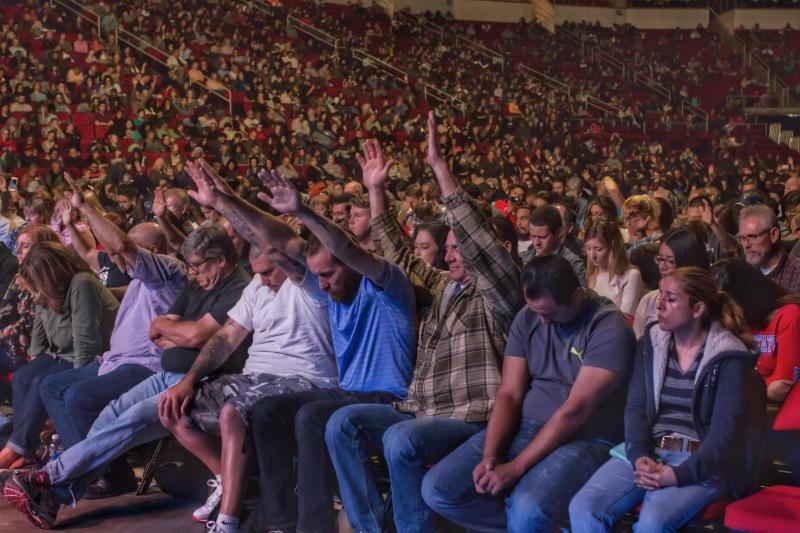 Pray for the upcoming RE:NEW Gathering on March 1st – that many people would be renewed in their passion for Jesus and others.